Why Book a Shooting Lesson? 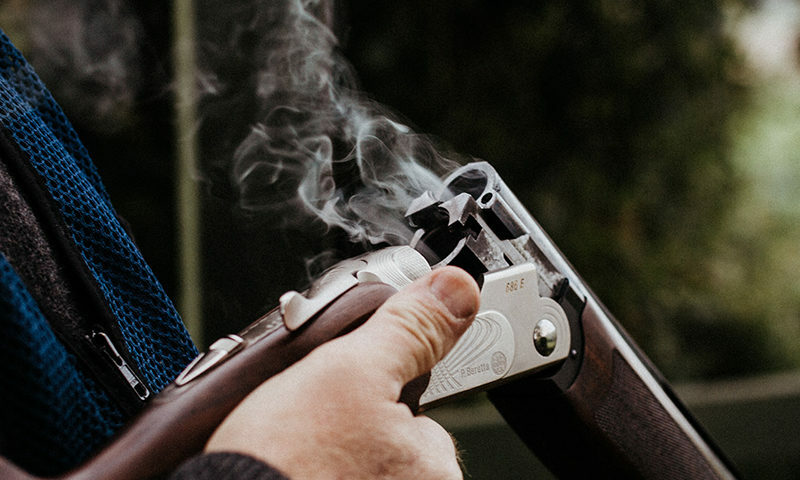 At the start or end of the shooting season, a well-used shotgun will often need a good clean and whilst it’s important to maintain a clean gun after every shoot, a thorough clean every now and then is paramount to a shotgun operating efficiently and accurately. You can get your gun professionally cleaned by a gunsmith for around £25, however you should have a go yourself (especially as ideally your gun should be cleaned every time you use it!) Get yourself a cleaning kit, and follow the tips below to help you achieve a good-as-new clean. Take your shotgun apart into three pieces. Remove the forend and separate the barrels from the stock. Using a cleaning rod, push a patch or some paper towel into each barrel (wooden end first) to clear any major debris or residual moisture. Next, take the wire brush and thoroughly clean each barrel, pushing through with the cleaning rod, to remove any powder residue. Then take another cleaning patch to the barrels again to ensure any excess residue has been removed. Apply a small amount of gun oil to a new cleaning patch or cloth and push through both barrels, leaving a thin layer of oil inside to avoid rusting. Use an old toothbrush to clean both sides of the rib between the barrels, where dirt can often build. Apply a small amount of gun oil with a cloth as rust can also develop here. You can now reassemble your gun, then using a soft cloth and a small amount of oil, gently wipe the full exterior of the gun to remove any external dirt and to give it a polished finish. Store your gun barrels down to ensure any residual oil runs out rather than towards the stock and firing pins etc. If you continue to clean a shotgun in the correct way, it should last years and remain in good working order. At Southdown Gun Room, you can buy a full range of cleaning equipment along with new and used shotguns, rifles and ammunition. Alongside this, we offer professional advice on all matters, so visit the on-range shop in Findon or call 01903 874050.